Unless you’re in the mood for a protracted court battle, you might want to watch what you say to the police department in Pittsburgh, Pennsylvania. David Hackbart found that out the hard way. 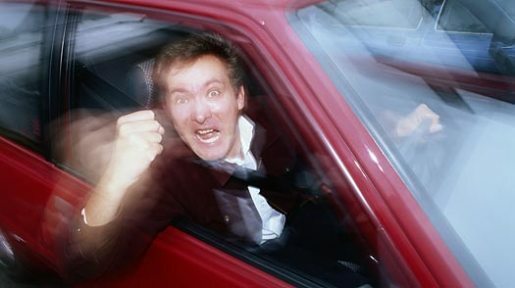 You see, he got cut off in traffic by some jerk, and he expressed that disapproval by flipping the offending party the bird. Someone stuck their nose in, telling him not to do that, and he gave that guy the one-finger salute, too. Unfortunately for David, the second person he flipped off was Sgt. Brian Elledge, who promptly cited Hackbart for disorderly conduct. Now the question before the courts is: is rudeness a crime? Can you flip off the police? The case is in the hands of the court system, with the police on one side and your right to have a temper tantrum on the other. The law seems to be on the side of Mr. Hackbart, as there is a glut of legal precedent defending the citizen’s right to use profanity towards any government official (and police officers are instructed that this is not against the law). There is no need to bowdlerize your speech when dealing with anyone from a legal standpoint. However, just because rudeness is legal, that doesn’t make it a good idea. Contempt of cop charges routinely make the news, but for every one reported there are probably dozens more where the victim just pays his ticket and accepts his slap on the wrist. Sometimes it’s best to chill out.